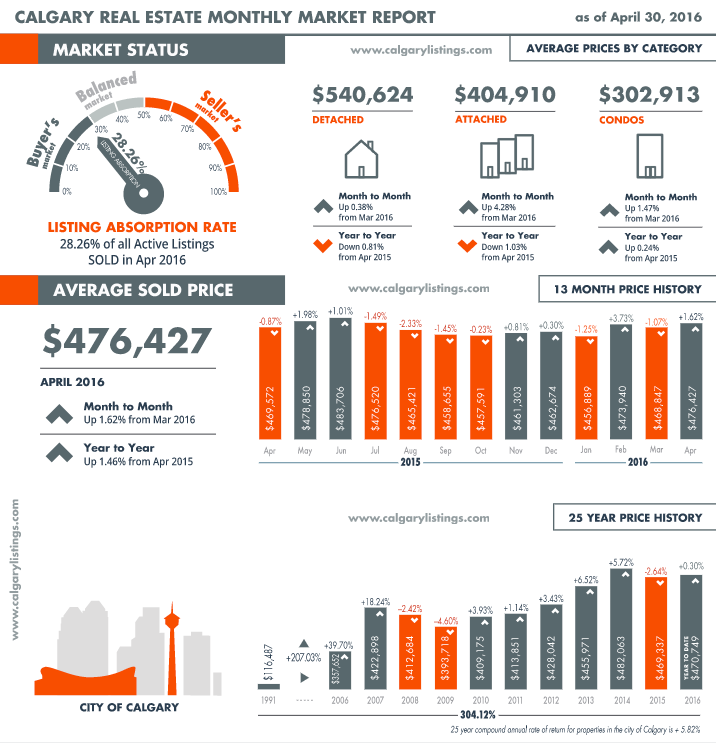 The Calgary real estate market remains in a buyers market into April as we head into May. The average price of a detached home increased slightly from March. 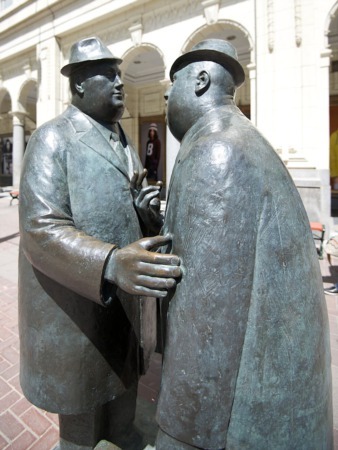 The Calgary real estate market imbalance in the residential resale Calgary housing market continued to have an impact on citywide prices in April. Meanwhile, as new listings increased, year-over-year sales fell and resulted in inventory gains within all sectors of the market. All of these factors have combined together to create a decline in benchmark prices for the seventh consecutive month. 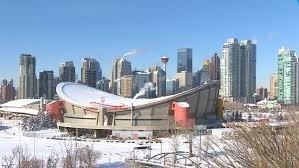 According to the latest CREB data, the benchmark prices on Calgary homes fell by 0.4 percent when comparing April to the previous month. Similarly, prices fell by 3.4 percent to $441,000 when compared to April 2015. In response to the seventh consecutive month to experience a decline in benchmark prices, a growing number of sellers are adjusting their prices to meet the market reality as they lower their expectations on prices. Despite these drops in prices, many buyers are still reluctant to make a purchase as they expect prices to continue dropping. As such, the gap between seller expectations and buyer expectations continues to persist. Benchmark prices are also falling within the apartment sector, where unadjusted benchmark prices have fallen by 7.6 percent. In the semi-attached sector, unadjusted benchmark prices have fallen by 5.9 percent, while prices have declined by 4.6 percent in the row sector. Meanwhile, the detached sector saw a drop of 4.1 percent. The detached price of $501,500 was also 0.2 percent lower in April when compared to March and 3 percent lower when compared to April 2015. Overall, some of the steepest year-to-date price declines across all product types took place in City Centre. 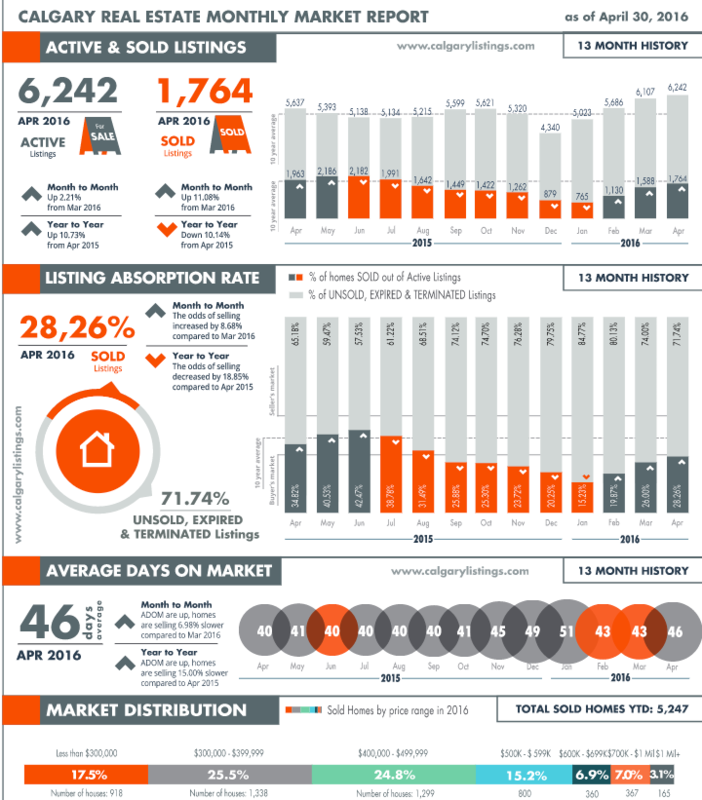 Despite the persistent gap between seller and buyer expectations, the detached sector saw an improvement in its sales to new listings ratio in April. On the other hand, detached sales activity did fall by more than four percent in 2016 when compared to last year, thereby preventing sharper inventory gains and causing the months of supply to become more balanced. Other market sectors, however, are not seeing the same results. Year-to-date apartment sales fell by 19 percent when compared to last year, resulting in inventory levels that have not been hit since 2010. Meanwhile, attached sales dropped by 13 percent. Rising inventories combined with slower sales has resulted in market conditions favoring buyers in both segments. 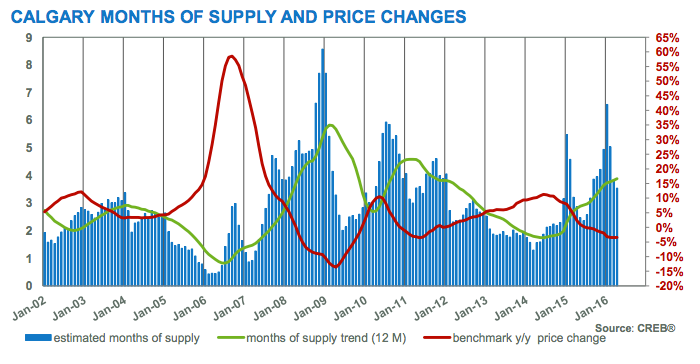 This is one of the factors that has been contributing to a steeper drop in prices within the apartment sector. When looking specifically at the City Centre, East, North West and West districts, year-to-date detached sales improved. As such, these districts didn’t experience as much of a gain in months of supply. 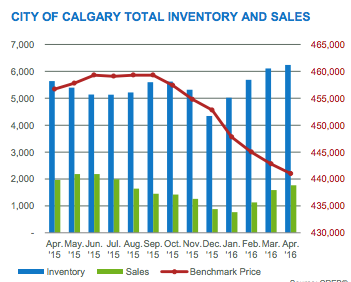 Inventory level and days on market showed increases in the Calgary real estate market for March 2016 - April was a better overall month than March but that is tyical in a spring market with May typically being the years best month.